More than 5,800 wines were entered in the 30th San Francisco Chronicle Wine Competition, held this week in the Sonoma County town of Cloverdale, Calif.
CLOVERDALE, Calif – Barnard Griffin is back on top. The Richland, Wash., winery won best rosé of the San Francisco Chronicle Wine Competition for its 2013 Rosé of Sangiovese. Owner/winemaker Rob Griffin has won a gold medal or better in eight of the last nine Chronicle competitions. Last year was the only exception, when his 2012 rosé earned a silver medal. The 2013 edition, which will be released in mid-February, also won a unanimous double gold medal from the panel of professional judges. Landis owns Landis Shores, a luxury bed and breakfast in Half Moon Bay on the Northern California coast. Griffin, who made 9,000 cases of the $13 wine, said he was a little worried about the wine as it developed in the winery. His concern was that the acidity wasn’t quite there because of the hot 2013 vintage. While the Barnard Griffin rosé will be available for retail throughout the country, the vast majority of its sales are in the greater Seattle area. 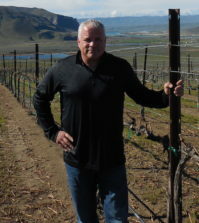 Swiftwater Cellars in Roslyn, Wash., won two best of class awards — its the 2012 No. 9 Riesling ($18) and 2010 Malbec ($38). The Riesling was considered the top dry Riesling, less than 1.49% residual sugar. This marked the first time Swiftwater Cellars has entered the largest wine competition in the country, and winery owner Don Watts did not produce a Riesling until he hired winemaker Linda Trotta from renowned Gundlach-Bundschu in Sonoma. 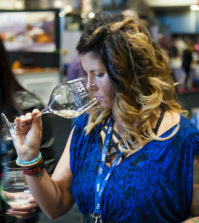 Trotta sources her Riesling from Olsen Vineyards near Prosser. 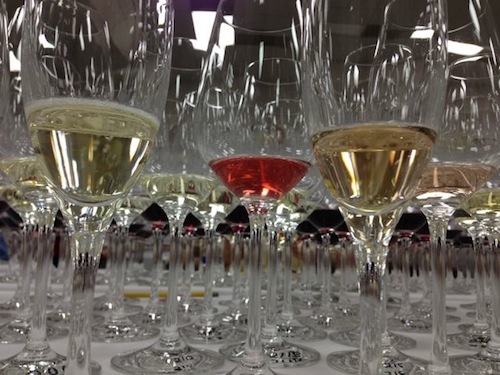 The 2012 vintage — her third full vintage in Washington — was finished with a residual sugar of 0.83%, with a total acidity of 7.7 grams per liter. The Hoist House — Swiftwater Cellars’ on-premise restaurant at Suncadia Resort — pairs the No. 9 Riesling with Chilean sea bass, which Trotta described as a Thai preparation with coconut milk and spice components. “Anything with a little bit of heat works really nicely with the wine,” she said. The components of the Malbec were 50 percent from Double Canyon Vineyard in the Horse Heaven Hills, Kiona on Red Mountain (25 percent) and Octave Vineyard in the Walla Walla Valley. 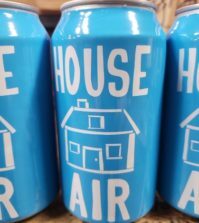 Production was 200 cases. Walla Walla Valley icon Woodward Canyon of Lowden, Wash., earned best of class in the Chardonnay $40-and-over class for its 2012 Washington State Chardonnay ($44) — a particularly impressive showing among the entries from California. “The biggest thing here is that we’ve never made the wine to win awards, but we’ve made it to be compatible with foods, and as a farmer, I’m also looking to respect the sense of place where the grapes came from,” said Rick Small, owner and founding winemaker. 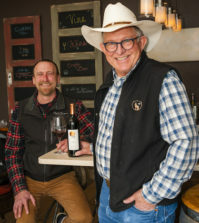 Small and his winemaker, Kevin Mott, use a blend of clone 108 from the Woodward Canyon Estate Vineyard and Wente Clone from Celilo Vineyard in the Columbia Gorge. The average yield of 3.3 tons per acre led to a production of 873 cases. And while the entire program goes into 100% French oak, only 20% of those barrels are new. Small said he enjoys his Chardonnay with Pacific Northwest seafood, particularly crab and smoked trout. “And sometimes I might even be cooking with glass of it in front of me,” Small said with a chuckle. There were a total of 10 best-of-class awards won by wineries using Pacific Northwest fruit — including both classifications of Riesling. Grace Lane, a label for Chicago-based Terlato Wines International, produced the top off-dry Riesling (1.5% and greater) using Yakima Valley fruit from the 2012 vintage. The price is $11. Basel Cellars Estate Winery in Walla Walla had its 2012 Estate Semillon-Sauvignon Blanc ($18) win the category for Bordeaux Other Varietals and Blends up to $19.99. Locati Cellars in Walla Walla earned a spot in the sweepstakes with its 2010 Innovation ($20), which was voted Best Italian Blend in the $24.99 and under category. Malaga Springs Winery in Malaga, Wash., won best of class for its 2012 Chenin Blanc ($15). Marchesi Vineyards in Hood River, Ore., won the best Sangiovese with its 2012 Emma ($28) from the Columbia Valley. Mount Baker Vineyards north of Bellingham, Wash., was chosen the top entry in the All Other White Varietals category with its 2012 Madeleine Angevine ($17) from the Puget Sound. This year’s San Francisco Chronicle Wine Competition drew 5,825 wines this year, making it the largest judging held in North America. About 1,500 wineries from 25 states entered. A public tasting with hundreds of the medal-winning wines will take place Saturday, Feb. 15, at Fort Mason Center in San Francisco. Tickets are $50 for early-bird buyers, $65 in advance and $80 at the door (though the event typically is sold out and, thus, tickets are unavailable to walk-ups). The San Francisco Chronicle has been the competition’s title sponsor for several years. This year, the presenting sponsor is Beverages & More (BevMo), a large California wine retailer that now has several locations in Washington. Stella Artois, a Belgian beer producer, also is a major sponsor.